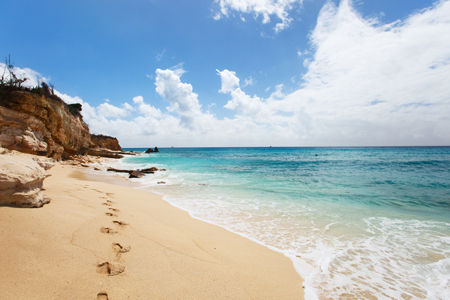 The St. Maarten island's beaches range from windswept stretches of shoreline to sheltered bays with low sandstone cliffs and swathes of pearly white sand. Some beaches are lively and crowded and have beach bars, restaurants and water sports rentals while others are quiet, virtually deserted and have no services at all. The beaches along the windward coast tend to have larger waves and some are popular with surfers and windsurfers. 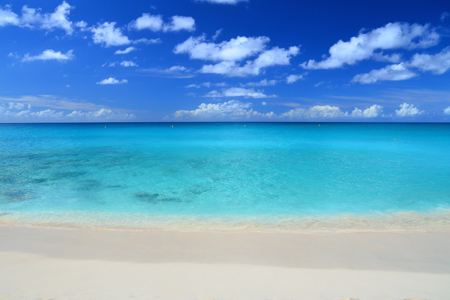 Leeward coast beaches are popular with families. 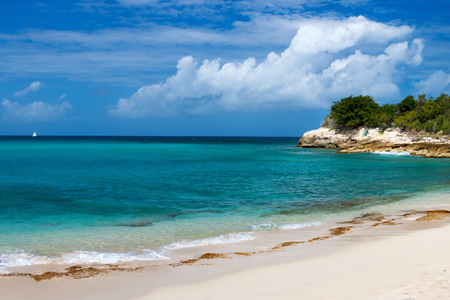 This beach on the Dutch side may be a little difficult to get to, however, the trip is definitely worth it for the fine white sand and the snorkeling, considered some of the best on the island. You can see the island of St Barts from here. 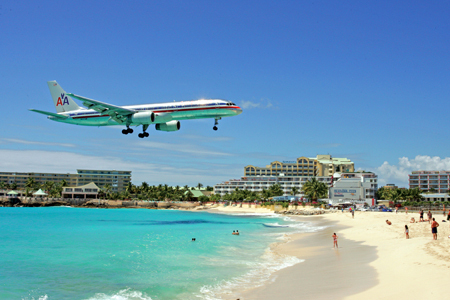 Located next to the Princess Juliana Airport, this beach is popular but noisy as planes take off and land. The mountainous island of Saba is visible on most days. A popular spot with surfers, palm and sea grape trees provide welcome shade. The 18-hole golf course runs along the coast. A good beach for body surfing. A series of tiny bays backed by golden cliffs pitted with caves; care needed when swimming. Clothing optional. 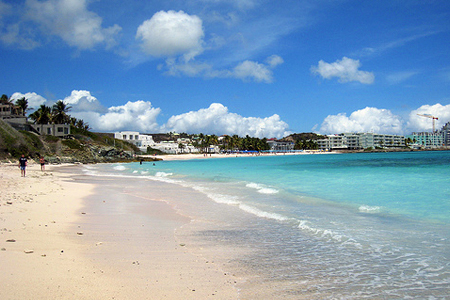 Other beaches worth a visit include Guana Bay and Great Bay. 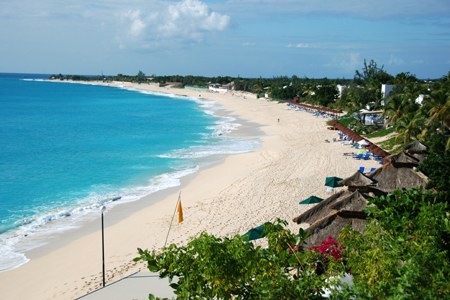 Orient Bay is the island's most popular beach and is good for windsurfing, water skiing, parasailing and horseback riding. Clothing optional. The entire bay is an underwater marine reserve. This beautiful wide bay on the French side has white sand with a pinkish tinge due to minute fragments of coral and the shells of marine organisms called foraminifera, and water which is a breathtaking shade of turquoise. 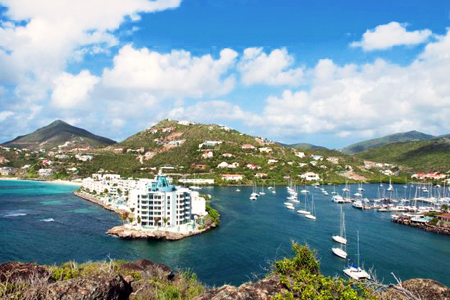 This sheltered and picturesque bay has a narrow beach and tasty waterfront dining. 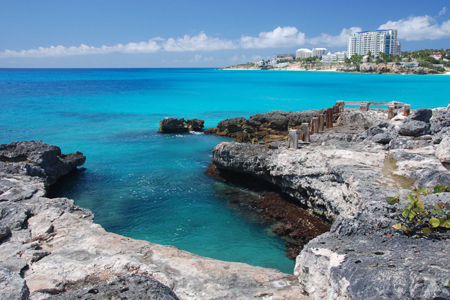 These tiny offshore cays have fine beaches and good snorkeling spots. You may visit them on a day cruise. 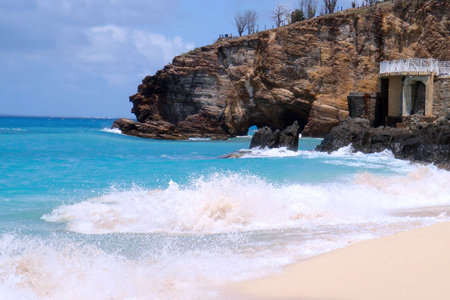 Other beaches worth a visit include Friar's Bay, Happy Bay Beach and Anse Marcel. Also known as Baie de L'Embouchure or Coconut Grove, this shallow bay is a popular spot with families for swimming and snorkeling; wind surfers, surfers and kite boarders also gather here. 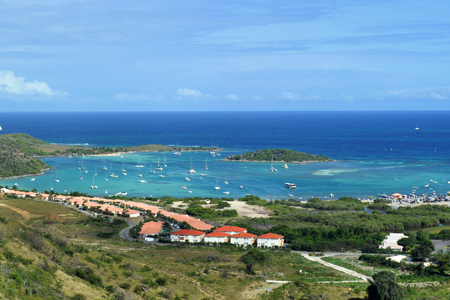 The bay is part of the St Martin Marine Reserve. 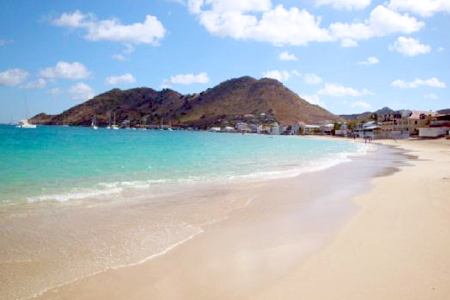 The longest beach on the island is secluded and very quiet. Clothing optional. Visit Baie Longue and nearby Baie aux Prunes (Plum Bay) for sunset watching.